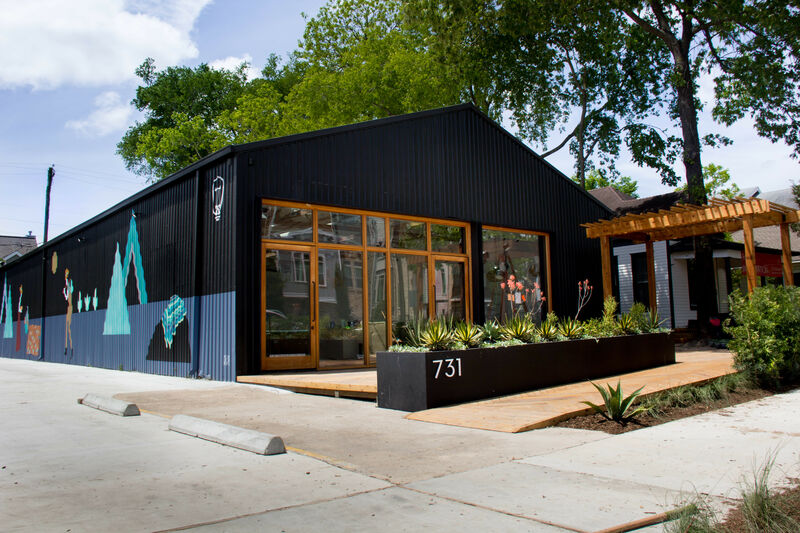 The donut is on the rise—here are 7 spots to try Houston's best versions of fried dough. In recent years, a simple breakfast food—one I'd always taken for granted—has become something of an art form. No longer are donuts just the punchline of lazy cop jokes, nor an afterthought to pick up on the way in to the office. 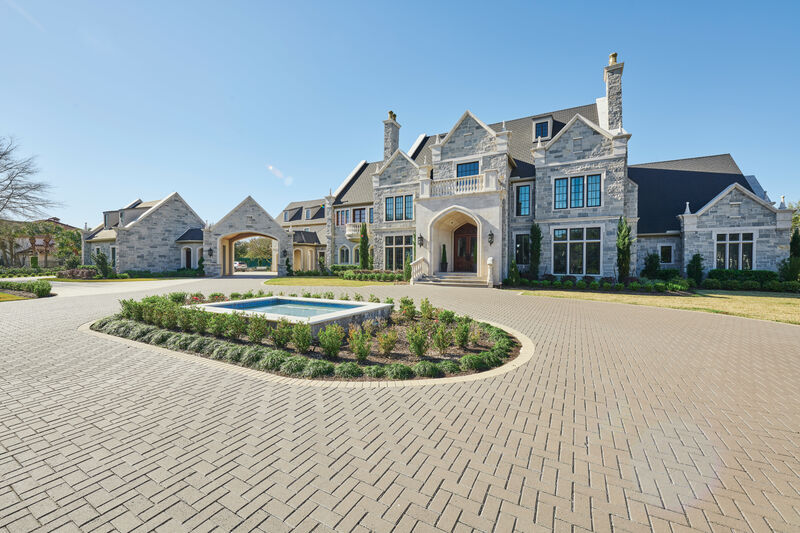 Now, it's not unusual to encounter lines forming outside donut shops, patrons patiently waiting for a taste of the artisanal treats. Being a bit of a donut-nut, I braved those lines to find the best of the best when it comes to good ol' circular pieces of fried dough and found plenty to love in Houston right now—from both old favorites and newcomers. The following list is in no particular order, all with remarkable showings for donuts in one way or another. Peña’s isn’t just heaven for donuts. In the afternoon, affable owner Ray Peña trades the fryer for the griddle and turns out the best burgers you’ll find in the area, including the Bun B Burger with bacon, chili, cheese, and jalapeños, and the Hawaiian, topped with ham and pineapple. 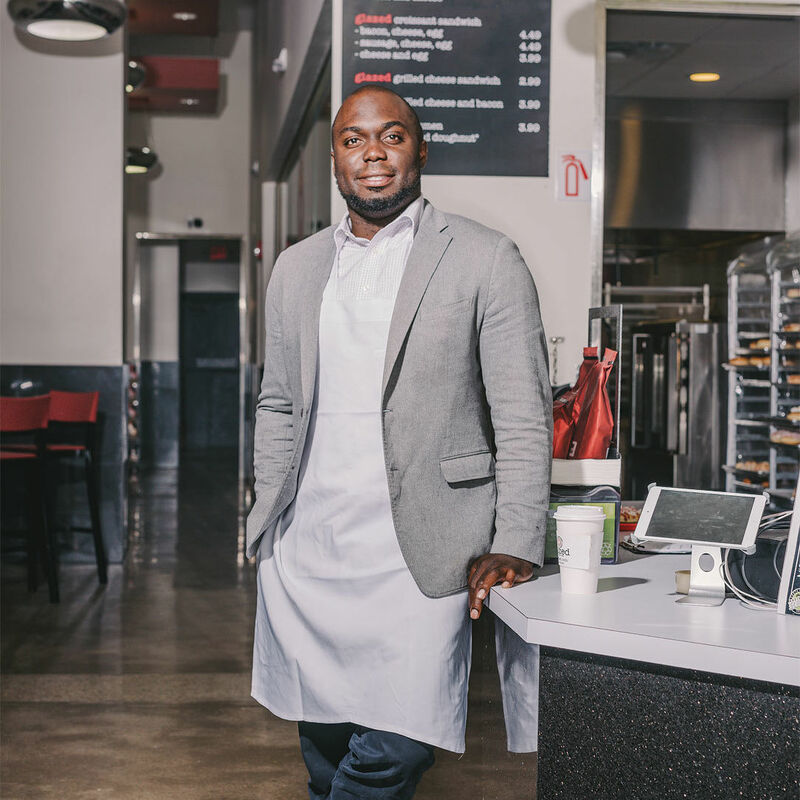 In the mornings, the shop quickly sells out of favorites like “dosants” (its version of cronuts), maple-bacon bars, and kolaches—but if you call ahead, Ray will set aside your order so it’s ready when you are. 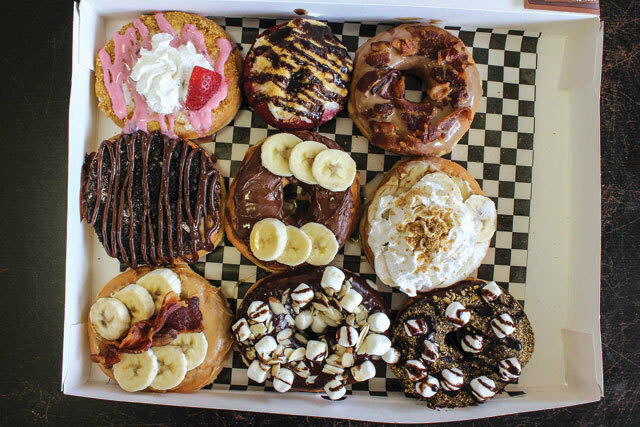 As far out in Sugar Land as it is far out on flavor, this shop has blended Vietnamese, Mexican, Cajun, and plenty of other influences on the way to creating the metro area’s most inventive donuts. Expect glazed pandan waffles alongside boudin kolaches at the Grove, along with its signature pastry topped with everything from Nutella and bananas to jalapeños, bacon and cheese. The exterior of Christy’s Donuts doesn’t do it justice. 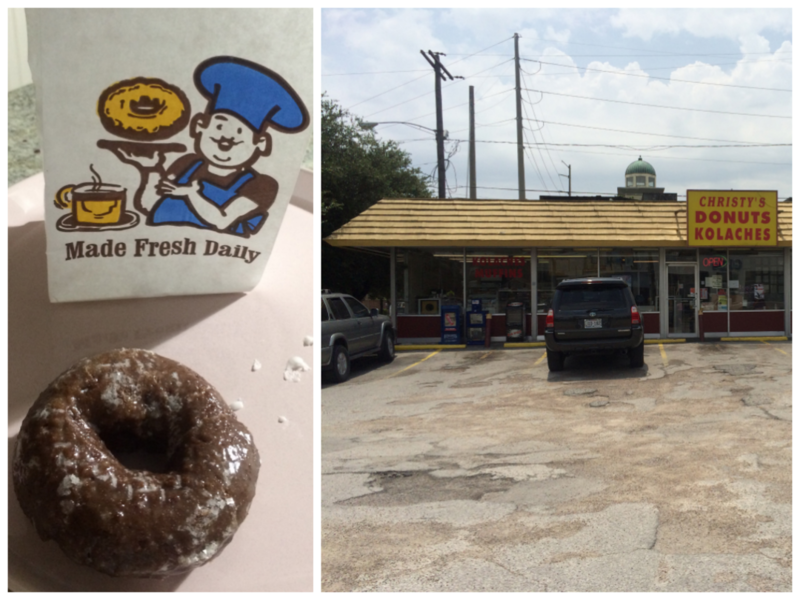 Driving up to what appeared to be a run-down convenience store, I questioned why so many people had named Christy’s a donut heavyweight in Houston. Once inside, the neon lighting and display case didn’t live up to the rave reviews I had read earlier, either. The selection was certainly simple, with no gourmet options available. But then I had the devil’s food chocolate cake donut. The simple surroundings suddenly didn’t matter because they nailed something on the most basic level. The cake was moist, dense, and chocolatey—just what a donut should be. Bonus: the service was great, and the cashier even threw in extra donut holes to my order. 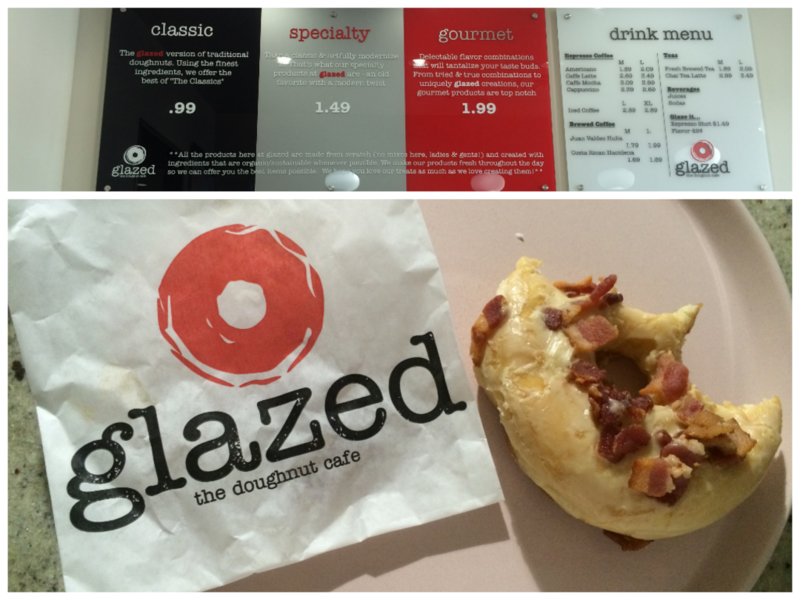 With modern decor, free wi-fi and comfortable seating, Glazed is open 24 hours a day, seven days a week. 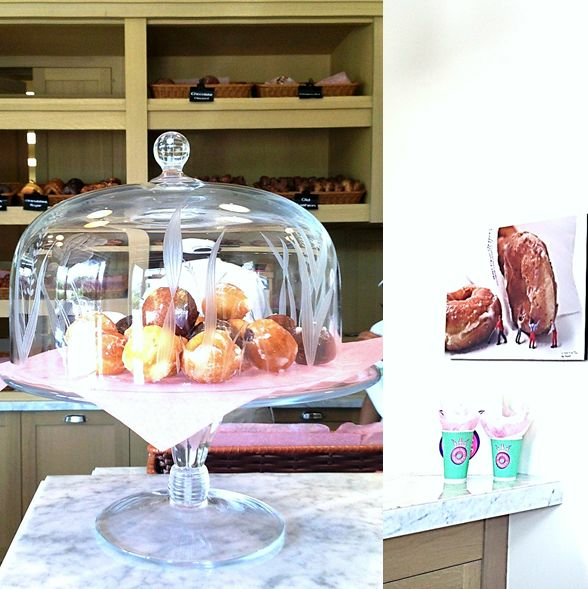 The large glass display case is filled with doughnuts divided into three categories: classic, specialty and gourmet. 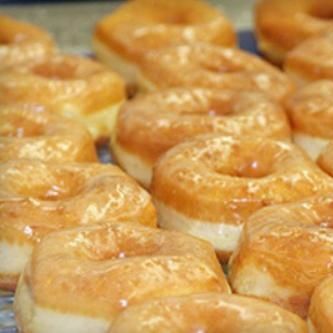 Try the signature Macon, a maple-glazed doughnut sprinkled with bacon pieces, or the Glazed breakfast sandwich, a glazed doughnut sliced in half filled with bacon, egg and cheese. Inviting diners to sit and relax a while, 12 different teas are available as well as an assortment of gourmet coffees and cappuccinos. 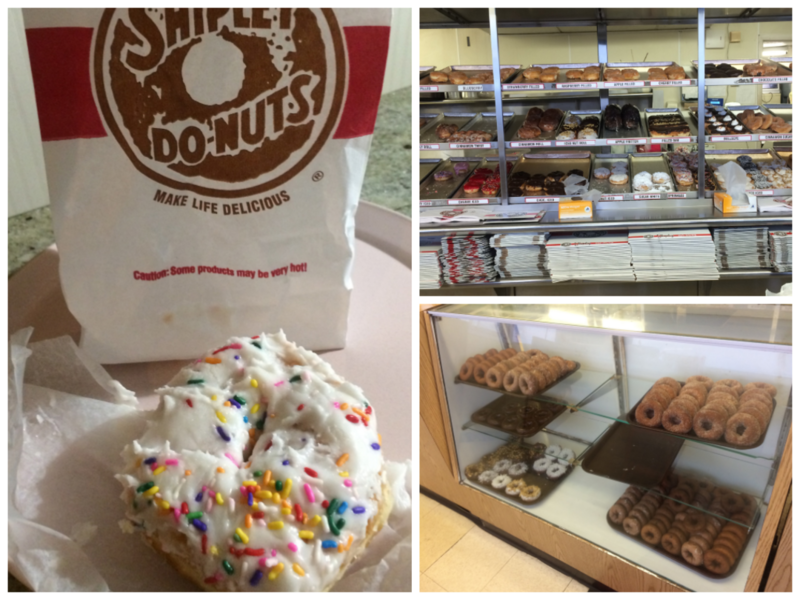 No Houston donut list would be complete without a mention of Shipley Do-nuts. 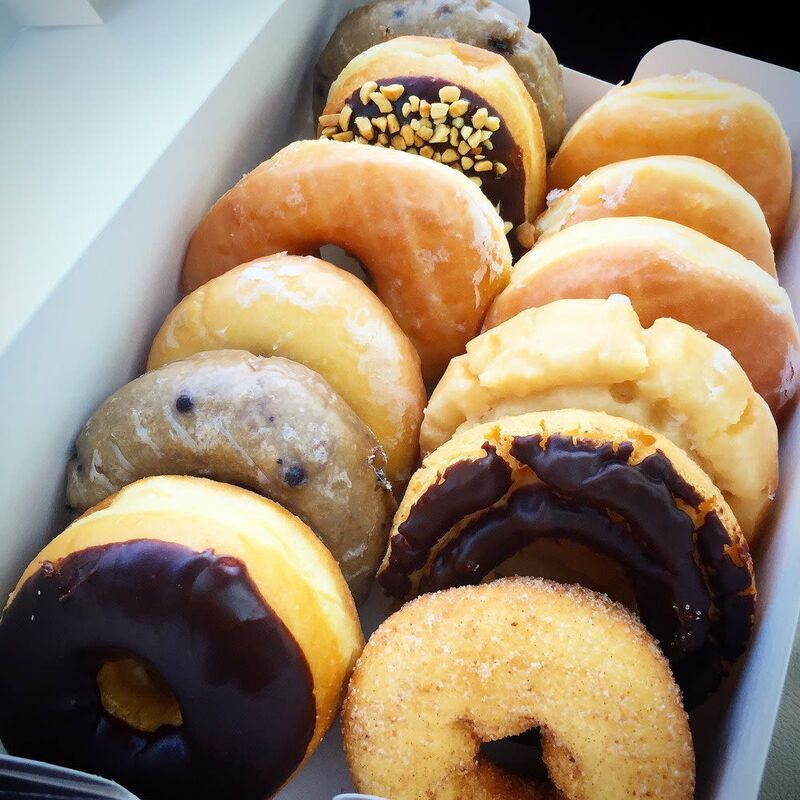 The local donut chain been around for decades, and it seems to be a rite of passage that every Houstonian must taste before claiming their Bayou City residency. I went to the original location on Ella Blvd.—the one which still fries its donuts to order—to taste a pastry I’ve had many times before. 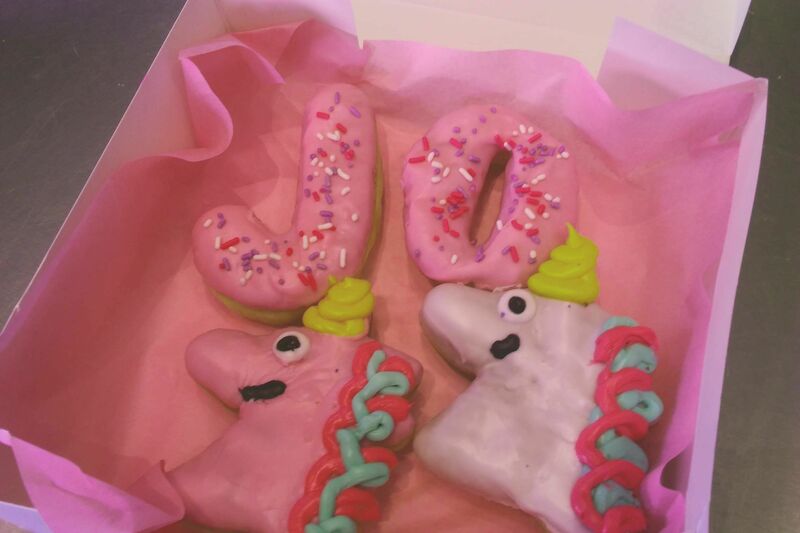 My personal favorite, the donut with white icing and sprinkles, tasted of fluffy batter, light frosting, and nostalgia. In comparison to the others I tried at other locations, the donut itself is certainly lighter, and the icing seems to melt in your mouth that much more. But then again, that just could be my childhood talking. Driving by BB Donuts, you wouldn’t think it was a donut shop if not for the large neon sign saying so. The pictures on the storefront windows imply that it sells only sandwiches, hamburgers, and croissants, mainly because there are gigantic pictures of sandwiches, hamburgers, and croissants. 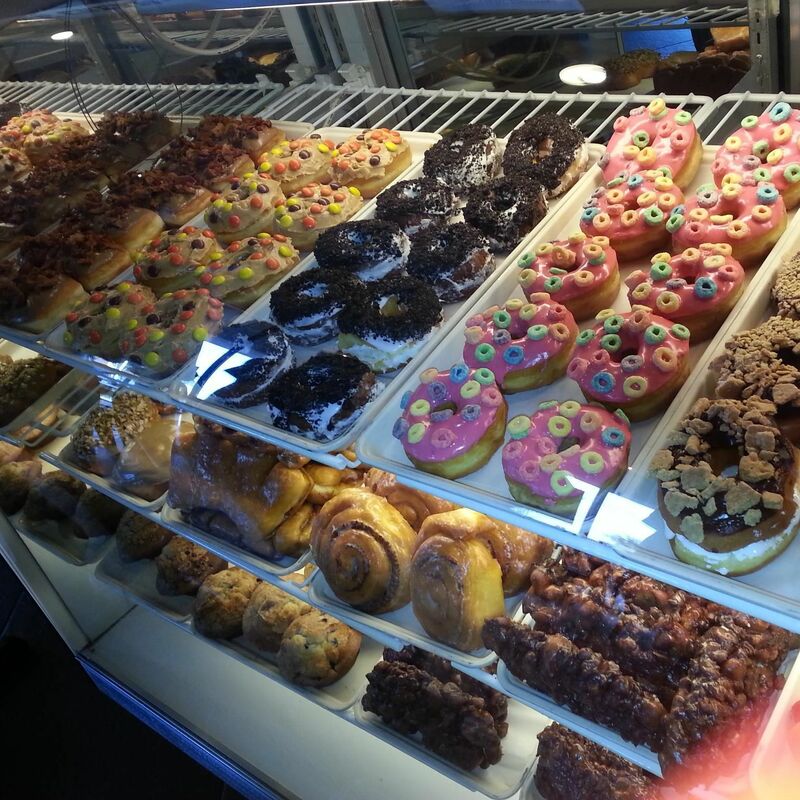 Even once you enter the small shop, only a discreet display case shows off the selection of donuts BB has to offer. 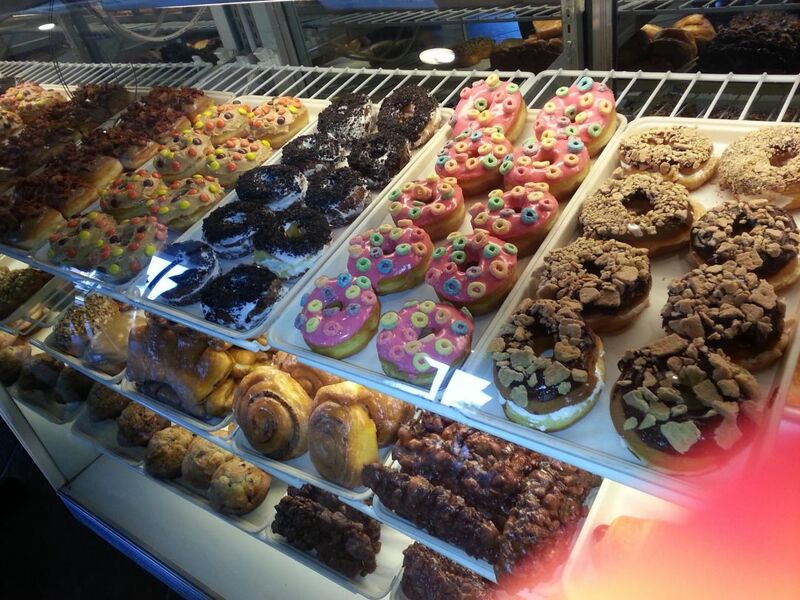 I must say though, that however small the selection, the donuts themselves are mighty. I tried the much-touted blueberry cake donut, which was extremely moist—something that I don’t always find to be true of other cake selections. With almost a muffin-like consistency and a big taste of blueberry, the denseness of the cake was certainly filling, despite the small size of the serving. And with the cost at less than a dollar, the price is more than right. 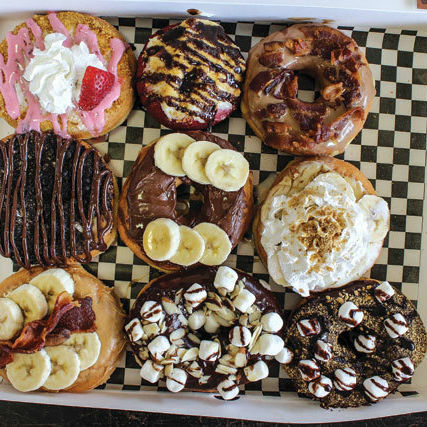 If it's possible to make donuts a glamorous food, River Oaks Donut Shop does. 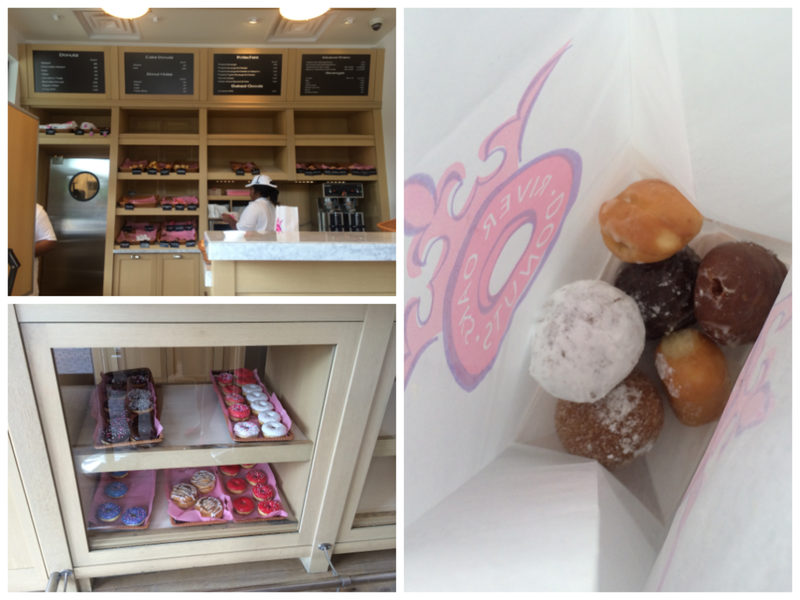 In a luxe storefront with beautiful displays, the donuts almost take a back seat to the colorful surroundings—almost. 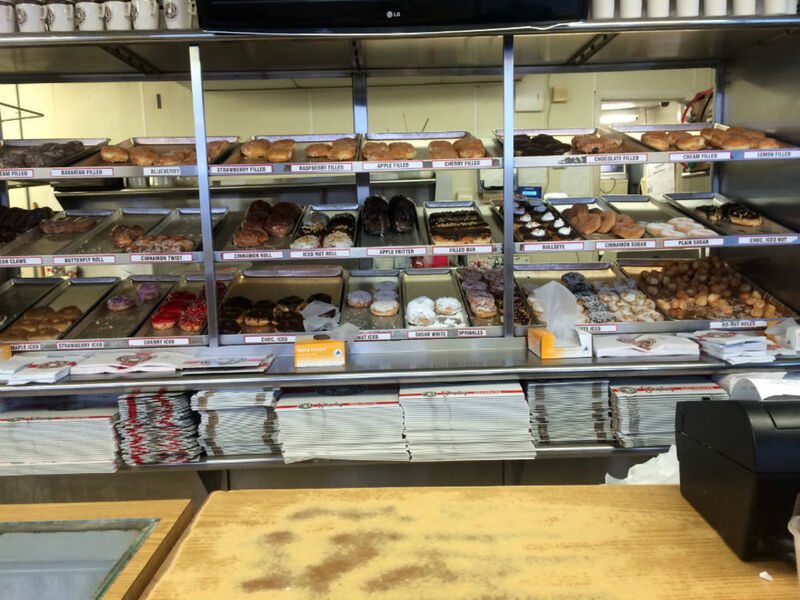 But then you notice the enormous variety of baked goods, especially the donut holes. I'd never seen such an array of options for bite-sized donuts, so I decided to indulge. Trying one of everything that looked interesting—including powdered sugar, cinnamon sugar, chocolate-filled, chocolate-filled chocolate, strawberry-filled and devil’s food—seemed like a great idea, and save a very full stomach it was. Each flavor was absolutely great. 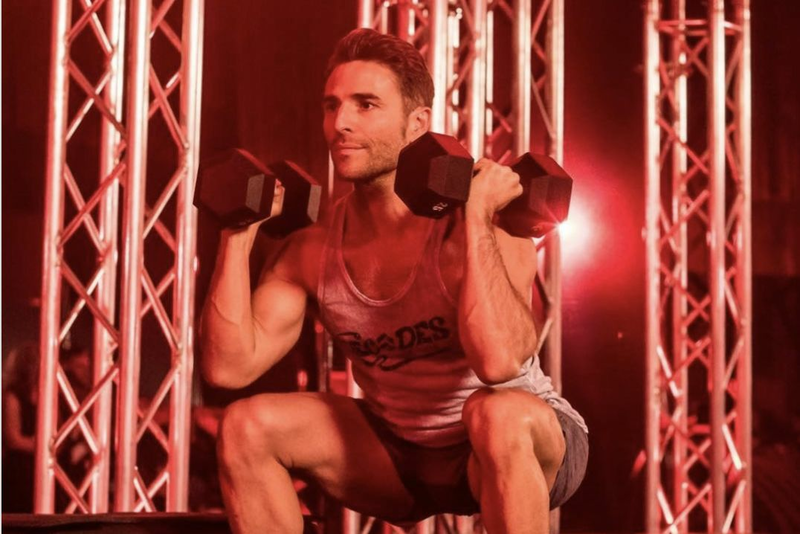 The only thing I wish I had done differently was arrive a little bit earlier. The cashier reminded me that because they open at 6 a.m., stock is normally pretty cleaned out by 10 a.m., so keep that in mind if you decide to go on a donut hole spree of your own. 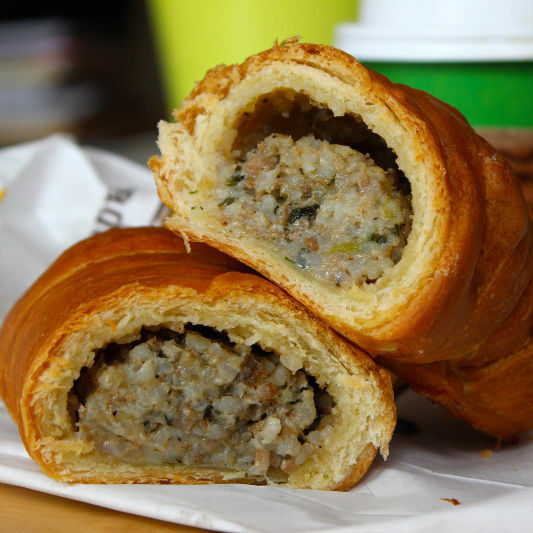 $ Bakeries, Sandwiches 515 Westheimer Rd. 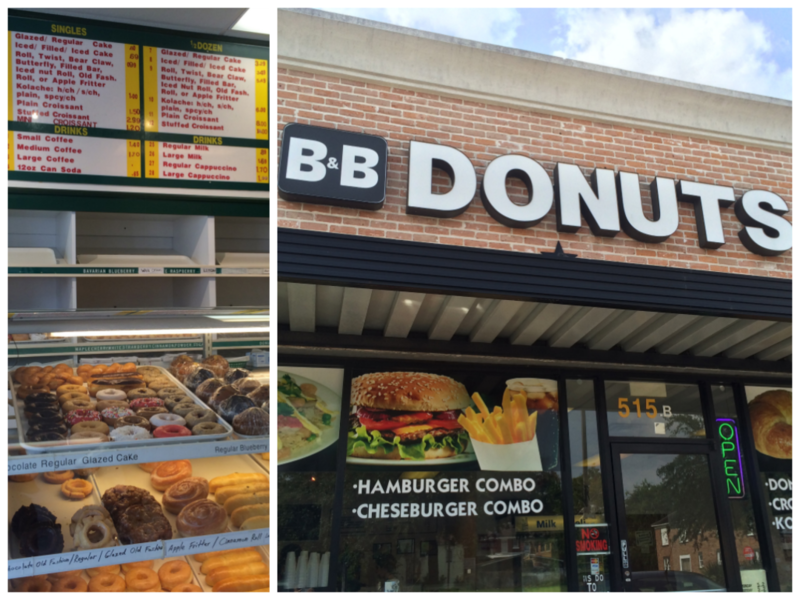 $ Bakeries 1103 W. Gray St.
$ Deli, Dessert, Sandwiches 815 Plantation Dr.